If I got called up to the Yankees today, I would bat eighth ahead of Gleyber Torres in the order. It wouldn’t matter that I haven’t seen live pitching in a long time and have never seen live pitching anything close to resembling what I would see at the Major League level. All that would matter is that I was a player on the team, and that’s good enough to bat ahead of the 2018 American League Rookie of the Year. I wish you needed more of a resume or any credentials at all to bat ahead of the 21-year-old batting .296/.353/.560 with 15 home runs and 42 RBIs in just 61 career games. Unfortunately, you don’t. On Sunday, Torres batted fifth, and hit a three-run home run off of David Price in the first inning. Had he batted at the bottom of the order, as he usually does, he wouldn’t have come up in the inning. It was just the latest example of why Torres should always bat in the top half of the order. But on Monday night, the Yankees’ best hitter not named Aaron Judge was once again the Yankees’ No. 9 hitter. All he did was have his 18th multi-hit game of the season with three hits, draw a walk and pick up his 26th extra-base hit. Torres has now batted ninth in 40 of 60 career starts, and in his other appearance, as a pinch hitter, it was also as the 9-hitter. He has batted fourth once, fifth 10 times, sixth twice, seventh twice and eighth four times. Despite having the best batting average on the team and second-best on-base and slugging percentage, Aaron Boone keeps batting him ninth. There is this idea that moving other players in the lineup down would cause a disruption in the clubhouse or possibly hurt the feelings of Major League players making millions of dollars to play baseball. There is another idea that Torres makes the lineup longer and that he acts as a second leadoff hitter and that he’s comfortable there. I don’t know which idea is worse: the idea that seniority and not performance should create the lineup or the idea that giving more at-bats to lesser hitters is the way to go because Torres is doing well at the bottom of the order. If that’s the case then Derek Jeter should have continued to bat ninth for 19 years since he was doing so well in that spot, and Judge should still be batting eighth from last year’s Opening Day since he dominated there. It would be one thing if Torres was batting ninth because he was a struggling rookie that the organization wanted to give everyday at-bats. But he’s proven to be a force in the lineup, capable of handling any pitcher in the game and he’s being treated like a glove-first middle infielder. On Monday night, Torres hit ninth behind Kyle Higashioka, the near-career minor league who got his first Major League hit on Sunday. 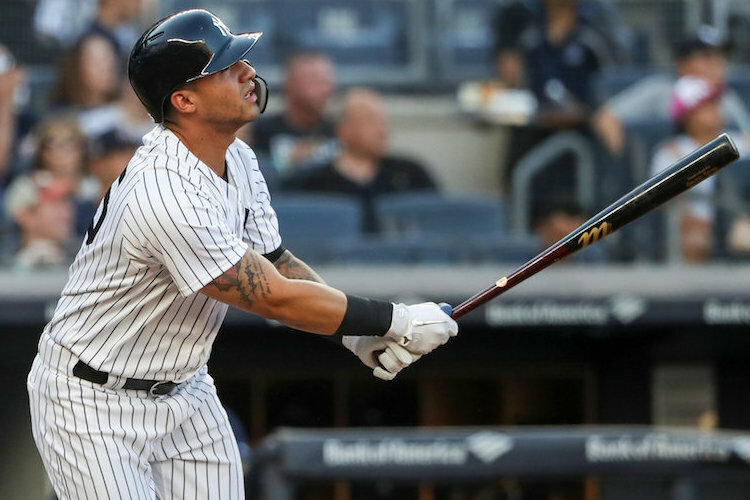 Last week, Torres hit behind Neil Walker, who should be expecting his release at any second, and many times Torres has hit behind Austin Romine, who is crashing hard from his early-season offensive success and shutting up any idiot who thought he should be the starting catcher over Gary Sanchez. None of those lineups were as bad as when Torres batted ninth three straight games at Citi Field behind Masahiro Tanaka, Domingo German and Luis Severino. I thought Boone was supposed to be a manager who happily invited statistics into his lineup building and in-game strategy, but this isn’t even about using sabermetrics or advanced data. This is about using common sense. Boone continues to make questionable decisions in a season in which one game might decide if the Yankees win the division or play in the one-game playoff, and the decision to keep batting Torres ninth is the worst of them all. Meanwhile, Greg Bird is being treated like the player he’s projected to be and not the player he actually is as he continues to bat in the heart of the order. Thanks to 242 good plate appearance in 2017, the Yankees have forgotten about the rest of Aaron Hicks’ career as he continues to either bat leadoff or no lower than sixth as if he’s Bernie Williams and not just a former first-round pick, who has had a couple good months over six years. Day in and day out, Didi Gregorius is the team’s No. 3 hitter even though he’s batting .210/.257/.323 with five home runs and 15 RBIs in 46 games since May 4 with absolutely no plate discipline. Torres, on the other hand, keeps mashing and keeps batting ninth. People think complaining about the batting order is ridiculous because the Yankees are 52-30 and on pace to win 103 games. Maybe in another season it would be ridiculous, but in this season where 103 wins might mean hosting the wild-card game instead of going on to the ALDS, every win and every game and every decision and every at-bat matters. Right now Torres is getting less at-bats than he should be because he bats ninth. That could be the eventual difference between winning a championship and losing one random home game to end the season.